A combination of bold dark chocolate sponge cake and subtle yet creamy white chocolate frosting, complemented with homemade salted caramel. 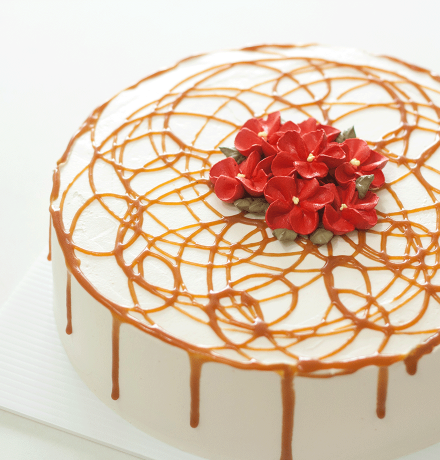 Get a complimentary fresh cream plum blossom flowers decoration for every purchase of Salted Caramel, Classic Dark, Black Forest cakes until end of Feb 2018! For purchase of Classic Dark and Black Forest with free spring flowers decoration, please go to WHOLE CAKE page.